Take a break from the city and head to Pfaueninsel and Zoo Berlin. Do some cultural sightseeing at Charlottenburg Palace and East Side Gallery. 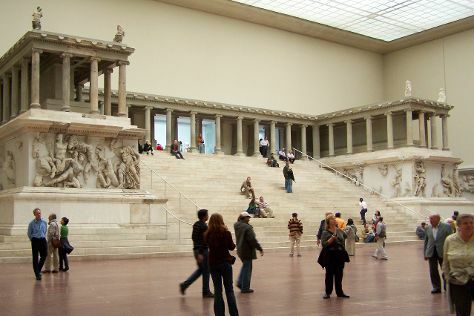 The adventure continues: examine the collection at Pergamon Museum, don't miss a visit to Mauermuseum - Museum Haus am Checkpoint Charlie, choose your vessel at StandUpClub Berlin, and take in the spiritual surroundings of Berlin Cathedral. If you are flying in from Ireland, the closest major airports are Berlin-Tegel Airport and Berlin-Schönefeld Airport. Finish up your sightseeing early on the 26th (Tue) so you can travel back home.